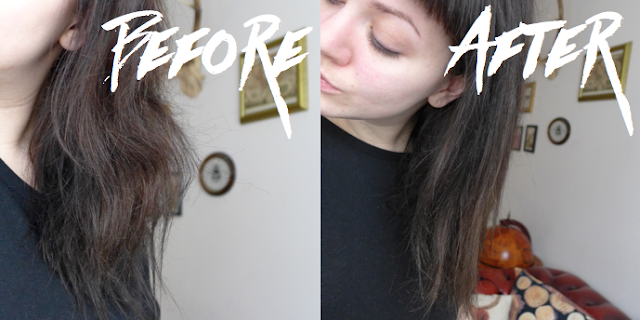 January was literally the longest month ever and has definitely taken a toll on me - and my hair! So I was super excited and relieved when Envy Professional very kindly got in touch to offer me the chance to try out the Envy Blowdry Set. 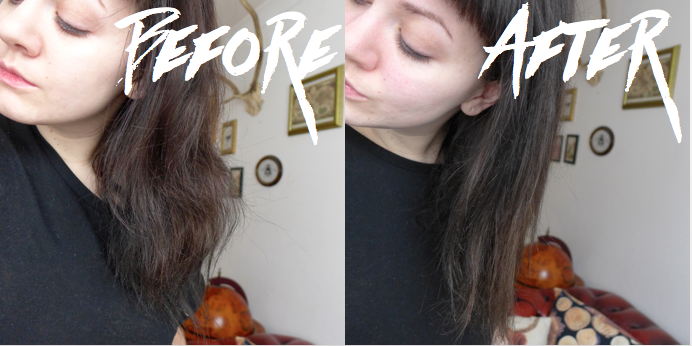 Naturally I jumped at the chance to give my winter-abused hair some much needed TLC! I've never used a professional hair treatment before so was excited to see if it lived up to its name. The products are gorgeous - sleek and professional looking. I adore the name and combined with the colour scheme makes me think this product was designed by Maleficent! Would definitely be fitting. The treatment is so simple to use - just 3 easy steps in 10 minutes. 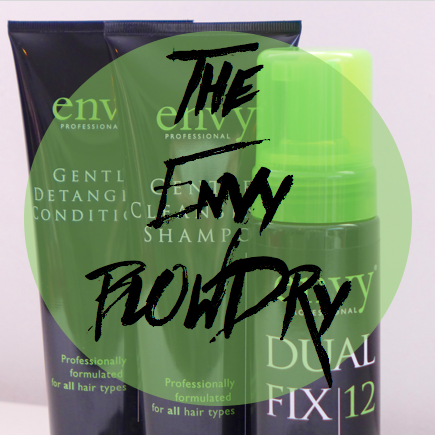 Envy call this their pre-wash hero and it has a light foamy consistency that was very easy to apply from roots to ends. It has a slight citrus scent without being too overwhelming as some products can be. The product is heat activated, so all that I had left to do of this stage was to rough dry my head before moving on to the next step. 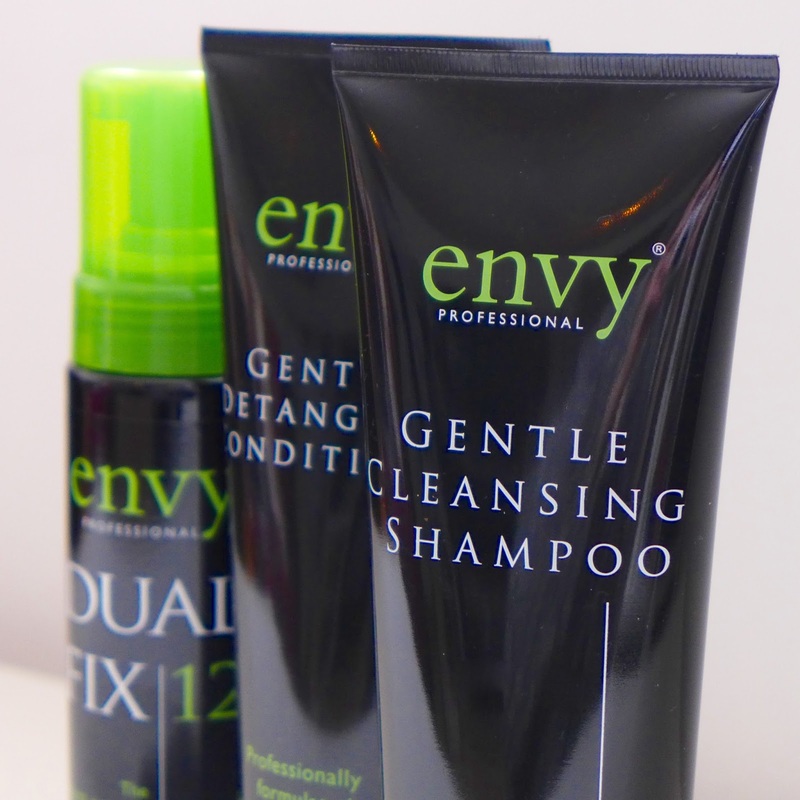 Envy promise that regular use between shampooing and conditioning will help repair damage -something I definitely need after abusing my hair for so long! After this stage my hair did feel a little oily and heavy. I didn't know what to expect, I suppose I thought it would be like a dry conditioner? Definitely a little odd feeling at this point but nothing to worry about! Steps two and three are just your usual hair washing routine. The Citrus theme continues with the shampoo and conditioner. The shampoo was a lot more fluid than I'm used to but is incredibly light and easy to work with. The conditioner was my absolute favourite. Slightly heavier than my usual conditioner but I could almost feel it working its magic as I applied it to my ends. As I usually do, I left the conditioner on for around ten minutes before rinsing. What a difference! And just to reiterate, my hair has not been styled in any way - simply blow-dried and brushed through. The Envy Blowdry has dramatically reduced the frizz and chaos that usually follows a blow dry where my hair is concerned and smells citrussy and amazing for essentially no effort at all. 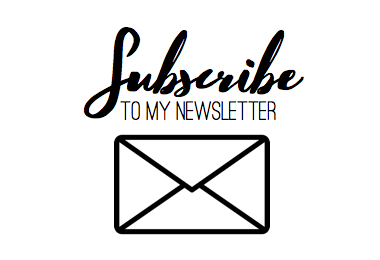 Each treatment can last up to four weeks and is definitely something I would recommend if you're looking to give your hair a little bit of a rescue from winter damage. Thanks so much for Envy Professional for getting in touch with this much needed hair rehab. If you'd like to try it for yourself, Envy have kindly provided me with a discount code for 40% off! Just enter the code BLOG40 at the checkout before February 29th to reap the benefits! 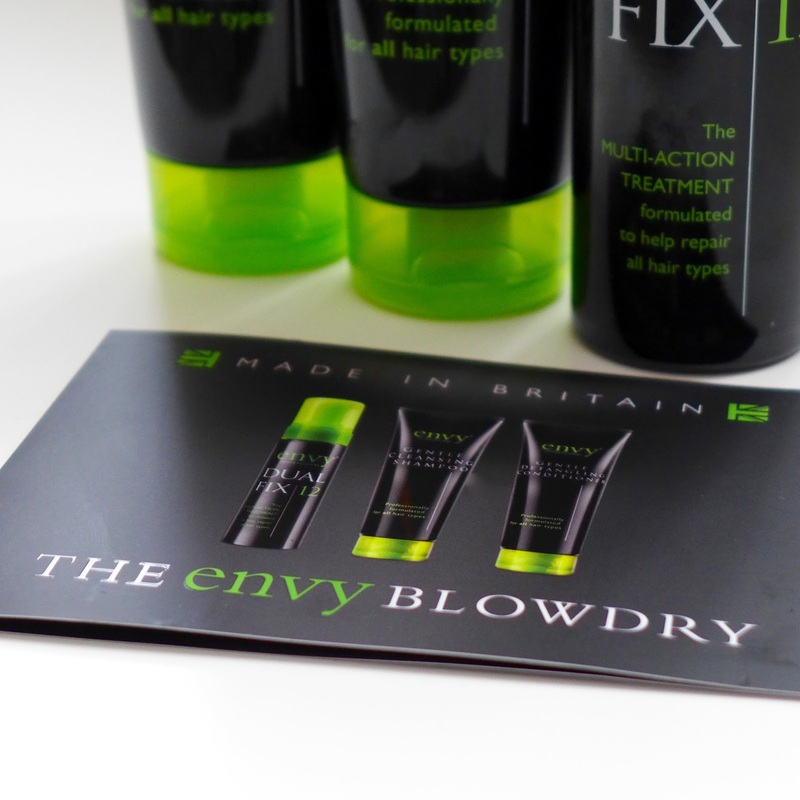 If you have any other questions or you just want to show off your glorious new silky mane, please get in touch with Envy Professional either on Facebook, Twitter or Instagram and the team will be more than happy to help. Let me know what you think!